Chris Olsen is a skilled attorney who has been helping accident victims, the discriminated and harassed, and their loved ones throughout the greater San Diego area. Our law office has assisted clients in various kinds of civil matters, including lawsuits for auto accidents involving serious or fatal injuries and complicated business and employment litigation. The topic of lane splitting has come up a fair amount lately. We'd like to take a moment to consider what it is and why you should be cautious as a driver of a motorcycle or a scooter when it comes to this practice. Lane splitting refers to a person on a motorcycle or scooter riding between lanes on the lane lines, negotiating this space between other vehicles. This could be in moving traffic or while traffic is at a standstill. Just from the description of lane splitting, you can well imagine how potentially dangerous it can be. Is lane splitting legal in the state of California? California is the only state in the United States in which lane splitting is legal. Other states in the country strictly prohibit lane splitting and generally ask that motorists refrain from such risky behaviors. Should I split lanes on my motorcycle or scooter? Even though it's legal in California, there are many reasons why you should not engage in lane splitting while on your motorcycle or scooter. While in moving traffic, the chance of getting struck or injured is very high given the narrow space afforded by the lane lines. Even during stopped traffic, lane splitting can cause major injuries to occur. Motorcyclists put themselves at risk if they lane split. For one, lane splitting puts a motorcycle very close to other vehicles, making accidental collisions more likely. It's possible to get collided with on the side, causing the motorcycle to lose control or for the motorcyclist to be run over as a result. This is especially dangerous when between two fast-moving vehicles. 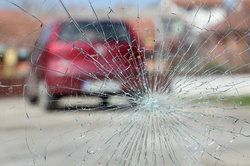 While in stopped traffic, there is also the possibility of being struck by side view mirrors or by doors that are being opened by drivers or passengers. When a motorcyclist engages in lane splitting yet does so in a reckless or imprudent manner, other motorists may swerve to avoid potential collision. These kinds of reactions/overreactions to a very close vehicle are a potential cause of mutli-vehicle accidents that can be very severe. It's very important that you drive conservatively when it comes to lane splitting, using your best judgment. Generally, however, we would advise motorcyclists to avoid lane splitting for the most part simply given the dangers involved. Following a major vehicle accidents related to lane splitting, it's important that you speak with a skilled attorney about your legal options. Your attorney will help you make sound legal decisions in order to obtain damages for various kinds of losses and hardships. We will be here for you to make sure the legal process is as understandable as possible. If you would like more information about your legal options following a serious auto accident of any kind, be sure to contact our personal injury law firm today. The legal team at the Olsen Law Offices will help you receive just compensation for injuries sustained and losses experienced.